As you all know, I already got Kylie gloss in So Cute shade, but of course, it's not enough for me. Since I'm satisfied with the gloss quality, I can't hold my curiosity any longer with the lip kit! I have to try at least one lip kit. I chose Koko K shade, which is a pale pink colour. I didn't choose dark shade, because dark colour is too much for me. Well, after waiting for more than 1 month (again), finally the infamous Kylie lip kit is arrived! Everything looks perfect, the lip liners, the liquid lipstick, even the brush! Well, it's absolutely a beautiful pale pink shade, and a bit different than what I saw at other people's swatch on internet. Well, I guess, different result on different skin tone. It makes me a bit nervous with the result on my lips. The lip liner has a creamy texture that glides across the lips for a very easy and comfortable application. I'm sooo surprised with how great this lip liner is! 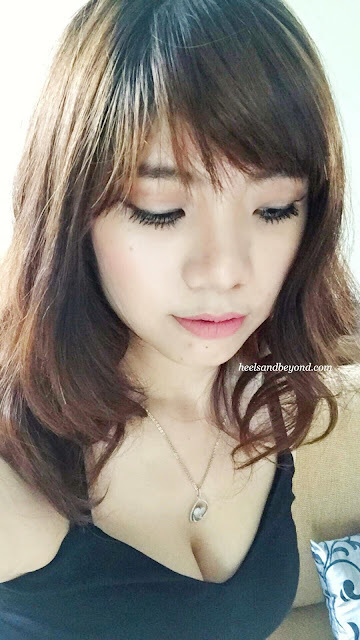 It's so easy to apply, glides smoothly, velvety, fast-drying, and ultra-long wearing. 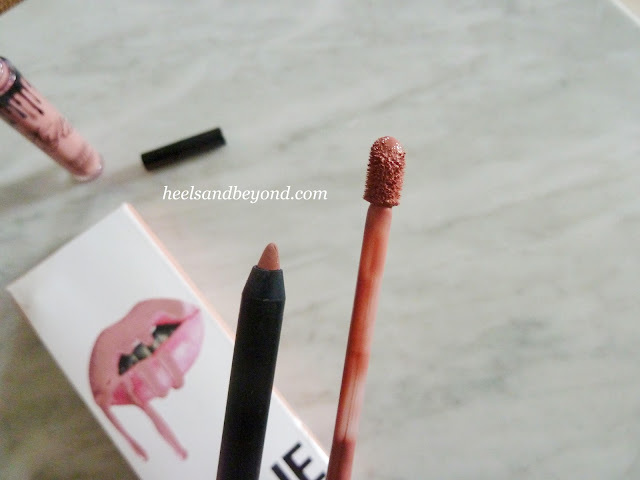 It's like the best lip liner I ever try! It's not like the gloss, which is moist my lips, this liquid lipstick was totally dry my lips. I can see some crack on my lips and I was so uncomfortable while eating something, because it will stretch my lips wider and more crack is going to happen T.T. Well, fortunately the problem solved by wearing lip balm before wearing this lipstick. Maybe this is also depends on your skin type, so make sure your lips is moist enough. Despite the dryness, it has a beautiful pigmented matte color, long-wearing, especially the lip liner! So, is this worth it to buy? Yes, for the amazing lip liner and the beautiful color, but actually you also can buy the similar one from NYX or Colourpop with the cheaper price. I'm not sure if I'm going to buy another one again, because it took some efforts to buy Kylie Lip Kit (sold out in less than 20 minutes) and we have to be patient while waiting for the products to arrive here in Indonesia. So, have you tried this Kylie Lip Kits or glosses? What do you think? I used it and found it amazing. I've really been wanting to try the lip kits! I love this swatch. Thanks for reviewing! I'm glad you like it, your welcome! It looks super cute on you! I just got the dolce one and its a bit dark on me, but still really love it! Love this colour on you, the finishing is gorgeous! Not a big fan of this brand. But I love the honesty of your review. When we review something, we should do it boldly.